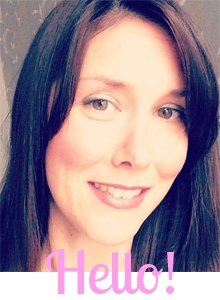 I LOVE Phone Apps and lately I've really fallen hook line and sinker for kids phone apps. They are brilliant for situations where I'm doing something with the baby and Isla needs entertaining. Because my phone is with me 24/ 7 it means these games are always with me and she LOVES them too. She asks to play them regularly (usually when I'm in the middle of texting someone or fiddling about with it myself!) and it really impresses me that kids know how to work all this new technology. We were asked if we wanted to review 2 phone apps by Night & Day Studios: Peekaboo Barn and Counting with The Very Hungry Caterpillar. 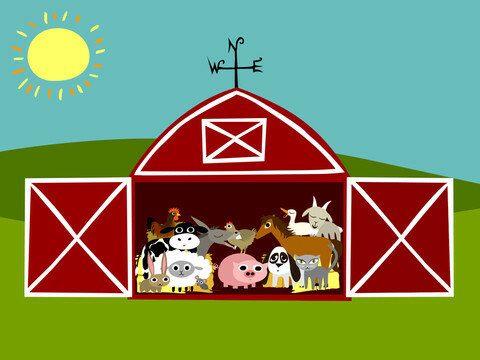 When we first had a go of Peekaboo Barn I wasn't really sure about it, it's so simplistic. 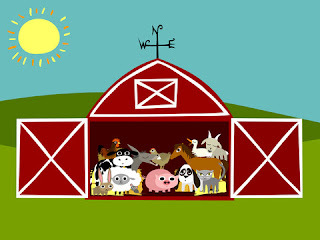 All the animals are in the barn, you tap the door and every time you do a new animal appears, it makes the relevant animal noise before the animal appears so you can get your child to name the animal before they see it and a child's voice says, "cow", "sheep" or "goats" (Isla's favourite!) when the animal is revealed. However what do I know? Isla really likes it. She will do it over and over. Also just for Christmas the app has updated and it's all snowy and all the animals are very festive with either santa hats or Rudolph noses on etc. It's a very sweet game and I would recommend it. Another thing that we haven't done as yet is record Isla's voice to go on it which I think will make her love it even more! The next game is Counting with The Very Hungry Caterpillar. 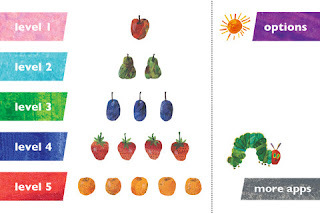 I loved this immediately because I just adore the illustrations for The Very Hungry Caterpillar and we have always loved the book. Isla can count to 10 already and likes any counting opportunity so this game was a goodun. It has 5 different difficulty levels and has all the snacks that feature in the book. For some reason Isla has formed an attachment to the 'pickles' and loves it when she has to count them! It's not all about counting either - it's also about being able to recognise different foods and also knowing which ones to select. The final level is against the clock, we've not done this yet as we spend too much time talking about the different foods "I like lollipops" etc etc you get the picture. All in all these are both good games, the Hungry Caterpillar one being slightly more educational than Peekaboo Barn. My only negative observation is that I feel that Peekaboo Barn is slightly over priced for what it is.